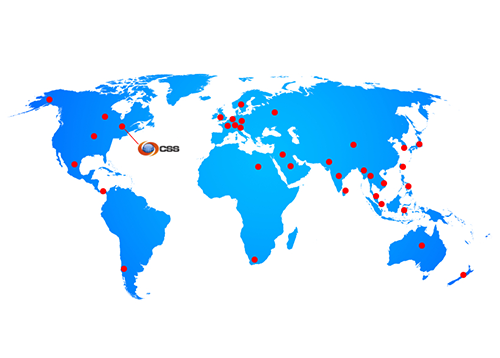 CSS is a privately held developer and manufacturer of hardware and software solutions for secure, remote infrastructure equipment management. Founded in 1997, we began as a small team of engineers with a passionate belief in delivering and supporting the best data collection and remote monitoring devices for telecom carriers. Through the years, these values have enabled us to build a portfolio of remote management products that are continually evolving and improving to the complete satisfaction of our worldwide customer network. Today, CSS solutions cover an ever-expanding range of equipment and customer needs, incorporating innovative enhancements and performance that were unimaginable years ago. It should come as no surprise, then, that leading organizations in the telecom, wireless/cellular, banking, and corporate sectors turn to CSS for solutions they can trust to manage key infrastructure equipment – the very lifeline to their business. For these customers, CSS means security, flexibility, affordability, reduced operating costs, and improved performance. Count on CSS to carry on this tradition for you!